Released in collaboration with Other Voices  Digipak, limited to 300 copies! Sanctuary is the follow-up to this legendary Belgian acts critically acclaimed album Rosary (2007). Swirling post-punk guitars, repetitive synthetic drums and dissonant indefinable noises. Jean-Marc's powerful voice sounds as it was recorded from a long distance and adds an almost choral quality to the music. Partially produced by Daniel B. and Patrick Codenys of Front 242. 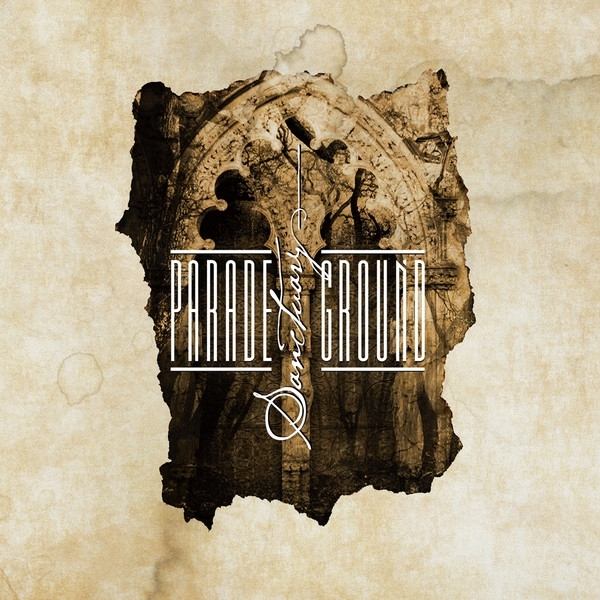 Parade Ground are a Belgian band, created by the 2 brothers Jean-Marc and Pierre Pauly in 1981. They were pioneers of cold wave and EBM. Their style evolved during the years 1980 passing from an icy and radical cold wave to more danceable sound with stressed rhythmics and exclusively synthetic melodies, sustained by an ironical dadaist visual . They regularly collaborated with members of Belgian band Front 242 and have written and composed on two Front 242 albums in 1994. They have often toured in various countries from Europe and have been an inspiration to many bands. Their previous album Rosary was produced by Patrick Codenys (Front 242) and they are now BACK AGAIN with more to come!! !